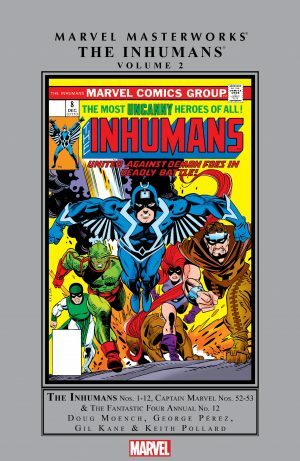 Introduced in Fantastic Four during a golden run of mid-1960s creativity by Stan Lee and Jack Kirby, the Inhumans were an entire society in a secret base in the Himalayas that they’d kept shielded from humanity for centuries, each person with an individual super power. 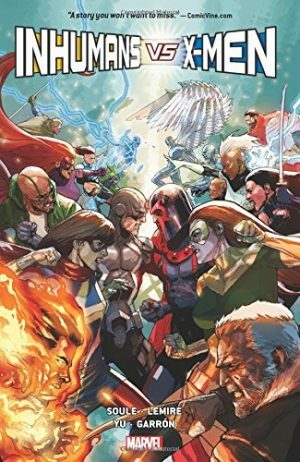 Kirby designed distinctive, mis-matched looking people, and several other imaginative concepts were associated, not least that their leader Black Bolt wasn’t able to utter the slightest sound as his voice could literally shatter mountains. However, a fantastic concept has proved creatively troublesome over the years, with few creators reconciling the possibilities. Lee and Kirby concentrated on the royal family, six essentially decent people and one madman, and that was the pattern for the next thirty years. 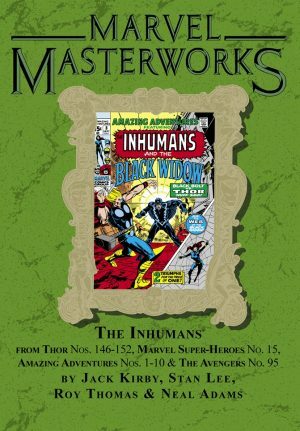 Interestingly, however, by omitting Fantastic Four stories featuring the Inhumans already gathered in FF Masterworks, this collection offers a slightly different perspective of their progress. That some artistic talent is present is indicated by Gene Colan only being third in the quality line. There’s awe and wonder over the first story pages, as Kirby heads back to humanity’s pre-history to present the origin of the Inhumans. He loved drawing this story, which feeds into his spirituality, supplying ideas about advanced beings as Gods to Cro-Magnon man, tinkering with genetics. 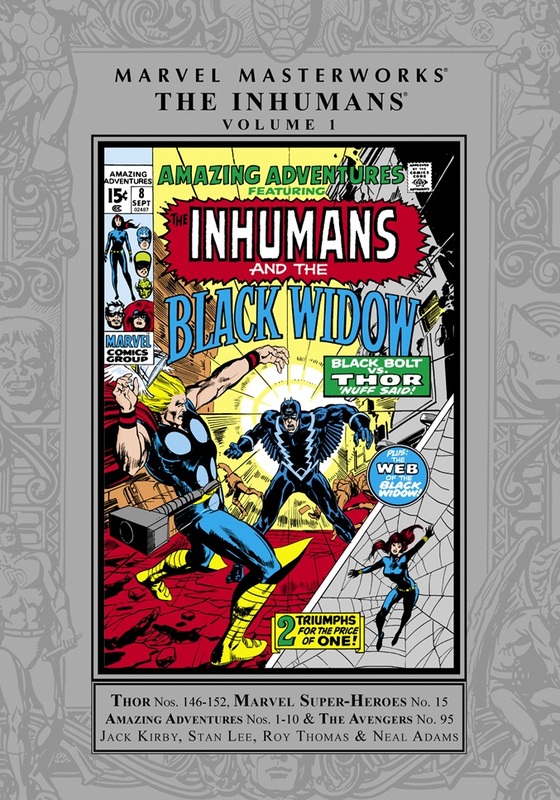 Kirby’s art is equally impressive during the parody section finishing the collection, and with the more standard superhero material as the Inhumans take on the Fantastic Four and the Mandarin, both featuring a rare credit for Kirby as writer and artist on the basis of him providing the dialogue as well as plot! While nicely drawn, the enthusiasm applied when tackling bigger subjects is absent. These are stock superhero stories, as is the Triton solo produced with Lee. Medusa’s solo outing is the work of Archie Goodwin with Colan, and beyond the art there’s little to recommend. 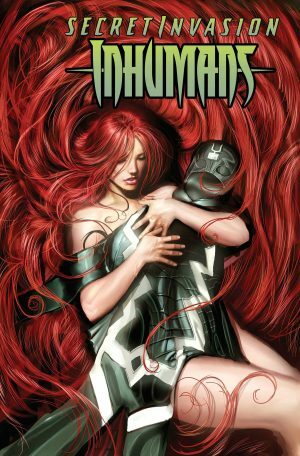 Medusa is unwillingly reunited with her criminal partners in the Frightful Four, duped by the promise of enabling the silent Black Bolt to speak. Beyond the art, the most notable aspect is how Medusa’s extensive thought balloon considerations pre-date the 1970s X-Men style. The other startling artist is Neal Adams. His sample page of Triton has been much homaged over the years from a good wrap-up story, and he’s on top form as Roy Thomas and Gerry Conway have Black Bolt lose his memory and become a weapon for an extreme civil rights group. Unfortunately, despite Adams, that’s not as interesting as it sounds. Conway and Mike Sekowsky involving Magneto with the Inhumans is positively nuts, not far removed from the satirical strips that follow. 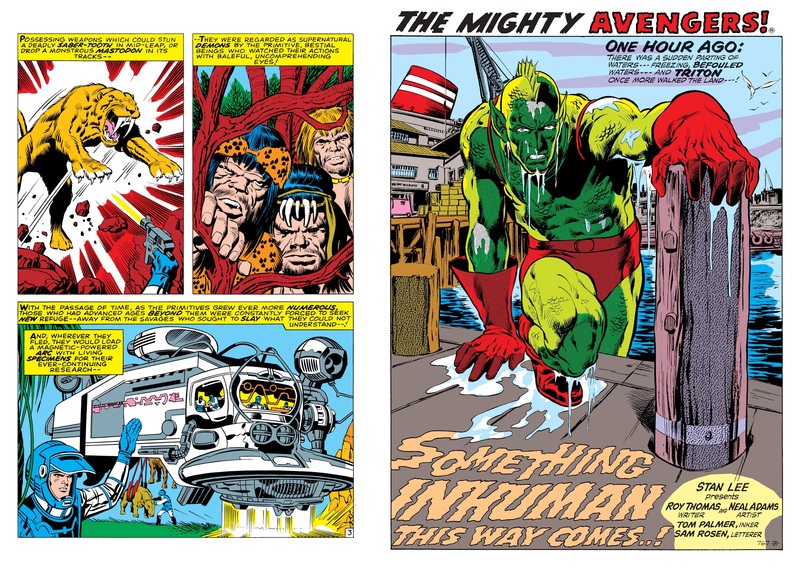 After Kirby’s contribution these are drawn by Tom Sutton, the first being assorted one page features starring the Inhumans in equivalents of Sunday newspaper strips. 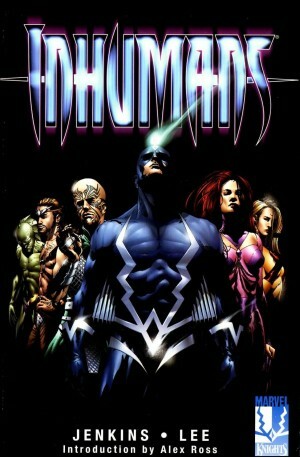 Thomas and Arnold Drake’s Mad Magazine style parodies are more successful in aping the features than involving the Inhumans, but still raise a smile. Drake’s subsequent tale of Medusa’s search for romance with assorted musicians is an unitentionally surreal oddity, as she runs through Ringo Starr, Bob Dylan and Tiny Tim. Again, the script doesn’t require Medusa to work in context, just any lovestruck woman, and some of the views expressed were surely dated in 1969, never mind by today’s standards. Sutton is very good, though, his exaggeration and adaptability selling the strips. 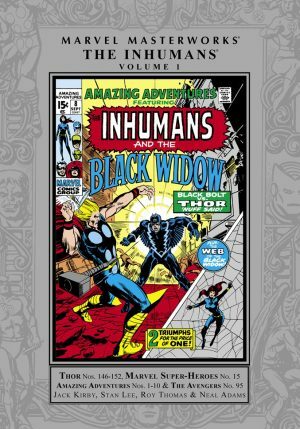 With a couple of exceptions, this collection is great art elevating ordinary scripts, but the Adams work especially is unlikely to see print elsewhere, so for his fans this may be an essential purchase.